Aquaman is one of the characters that not one really gets. Created in 1941, he had already been beaten to the page by Timely/Marvel’s Sub-Mariner by a few years. He wasn’t actually from Atlantis in his origin; he was just genetically modified by his father using recovered Atlantis technology. It wasn’t until his revival in the 1950’s that he truly started to mimic Namor: half human/Atlantean, and heir to the throne, but without the surly attitude and the ridiculous ankle wings. He was super strong and could survive on the ocean floor (imagine the pressure.) He could talk to (command, really) all sort of aquatic life. But still he seemed like a lesser character. The comics tried to make him a more rounded character, adding a half-brother/arch nemesis and even had another villain kidnap and kill his son. The 80’s saw his origins tweaked along with Atlantis’ history and even saw a short-lived black and blue camouflage costume. The 90’s saw him go extreme, with long hair and a beard and even had him lose his hand and replace it with a hook. Even with a successful run in his own book and with the Justice League, things wound down for him. Returning to the orange and green outfit, he eventually was replaced, killed off and eventually returned to life. What does all that matter when it comes to reading Aquaman Vol 1: The Trench? Not much as one of the directives of the New 52 was to keep both new readers and veteran ones on equal ground by confusing the hell out of them on continuity (do I sound bitter?). But the new series seems to follow-up Brightest Day thematically by having Aquaman try to lead a quiet like away from Atlantis with his wife, Mera and reconnect with his human past as Arthur Curry. But being a public hero (and wearing the costume everywhere he goes) he sticks out in the small town of Mercy Reef and the townsfolk don’t know what to make of him. Helping out only elicits comments like “what can Aquaman do?” and snide comments about talking to seafood. Even the cops seem to disrespect him. This frustrates Arthur and infuriates Mera, being used to being respected under the waves and amongst Arthur’s superhero colleagues. But when underwater creatures from a dark area called the Trench start attacking the surface, it is up to Aquaman to show the town what he can do. Six issues of the 2011 launched Aquaman series are collected in this volume, all written by writer Geoff Johns. Responsible for the revival of the Hal Jordan version of Green Lantern and the Barry Allen version of the Flash, Johns makes a compelling case that Aquaman is more than the “talks to fish” guy. Arthur, while preferring a peaceful life, wants to be respected by the residents of Mercy Reef and trusted by law enforcement. But he deal with attitude that somewhat reflect those of the average comic reader about the character. He shows that in every way he is a hero, saving the eventually thankful people from danger.. The book is illustrated by penciller Ivan Reis (Blackest Night, Green Lantern) and inker Joe Prado. Long time collaborators with Johns, the art team really sells the story, giving the book a strong look. They did really good with the looks of the monsters of the Trench. The Trench storyline covers four issues, with the remaining stories featuring. Aquaman lost in the desert, seeing mirages and the other about Mera trying, and mostly failing to fit in with the townsfolk. Both are good stories to get to know the characters better. Also the book introduces us to a new supporting character, Aquadog! No, he is just a normal dog. I liked the book. Despite my misgivings about the whole New 52, Johns is a good writer that can restore any characters reputation. Granted, I did not find Aquaman interesting until his 90’s makeover and subsequent use in Grant Morrison’s JLA, I did not like DC’s practice of killing off their heroes in the mid 00’s (though Elongated Man can stay dead, for all I care). Though I did not realize that Aquaman was killed off until he showed up a Black Lantern in Blackest Night #1, I thought there was more to tell about the character. This book sets him up good for that and as of this writing, Aquaman is still being published monthly. I recommend this book to anyone that wants to know more about the character. WIth his series going strong and a leading role in the recently released Justice League: Throne of Atlantis on DVD/Blu-Ray character’s exposure has been better than ever. I am sure more interest will be drawn by his appearance in the upcoming move Superman/Batman: Dawn of Justice, played by Jason Momoa (Games of Thrones, Conan), So, despite being mocked on the Big Bang Theory as a joke by Raj (who is so that group’s Aquaman, by his own reasoning), it is not a bad time to be Aquaman, right now. 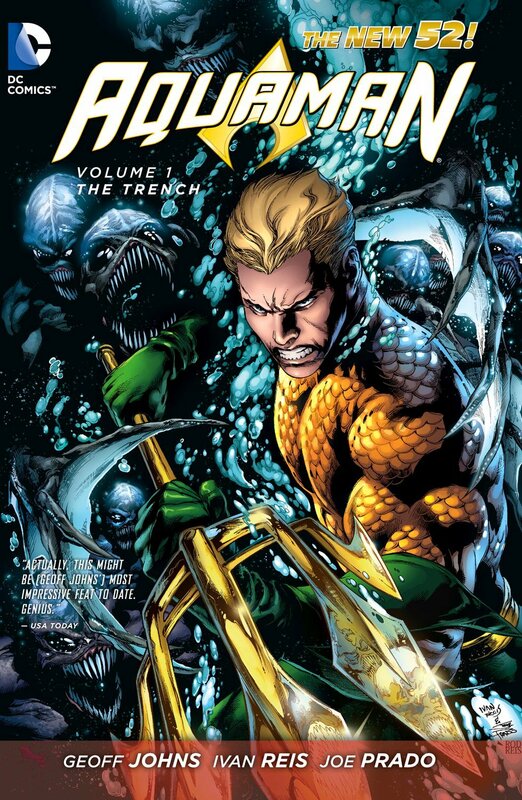 Aquaman Vol 1: The Trench is available at most comic book stores and retail stores. Sword Art Online: Hollow Fragment is a Japanese Role Playing Game (JRPG) developed by Aquira and published by Bandai Namco. It is based on the multi-media Sword Art Online franchise which includes light novels (short books for young adults), manga, two anime series and four video games, none of which are actually an online game. 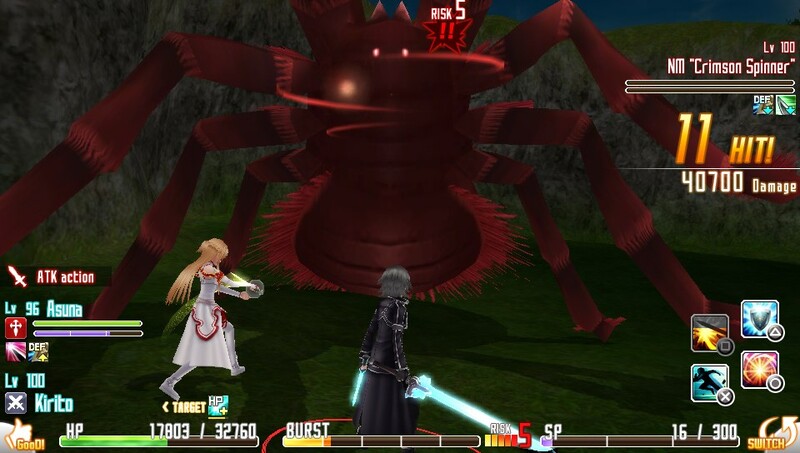 Hollow Fragment is actually a remake of the third game, Infinity Movement, released for the PSP only in Japan, with additional dungeon, characters and a new area, the Hollow Area. The Hollow Area is full of danger! 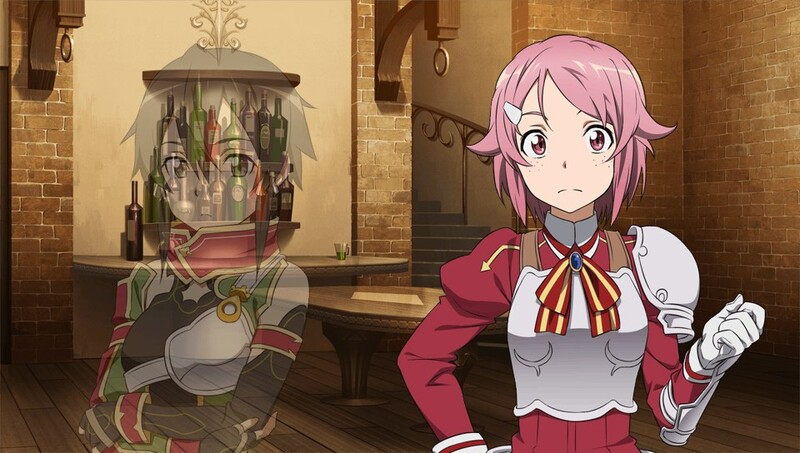 To understand the game you should know the Sword Art Online story. 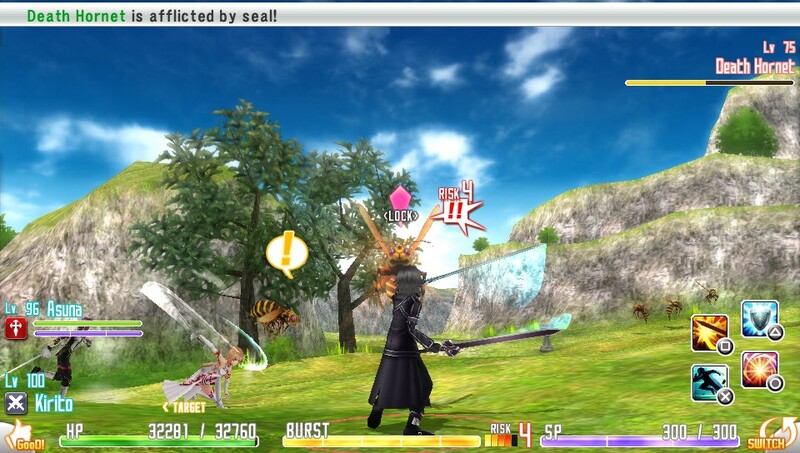 In 2022 a Virtual Reality Game, SAO, set out invites for 6,000 players to beta test the game. Your hero, Kirito, is one of them. Once logged into the world of Aincrad, they discover they cannot log out. The creator of the game announces that the only way they can return to the real world is to beat all 100 levels of the game and beat the boss. If someone tries to pull them out from the outside, they will die. If they die in the game, they die in real life. 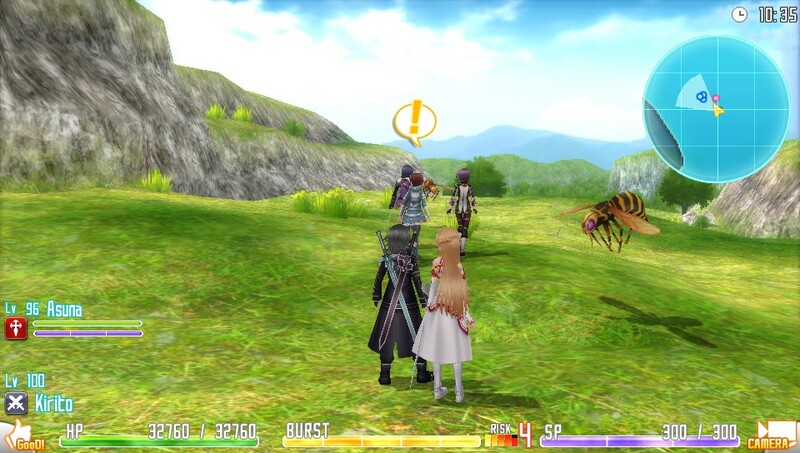 Kirito gathers a group of friends to get to level 100, facing threats from in-game monsters and other players alike. 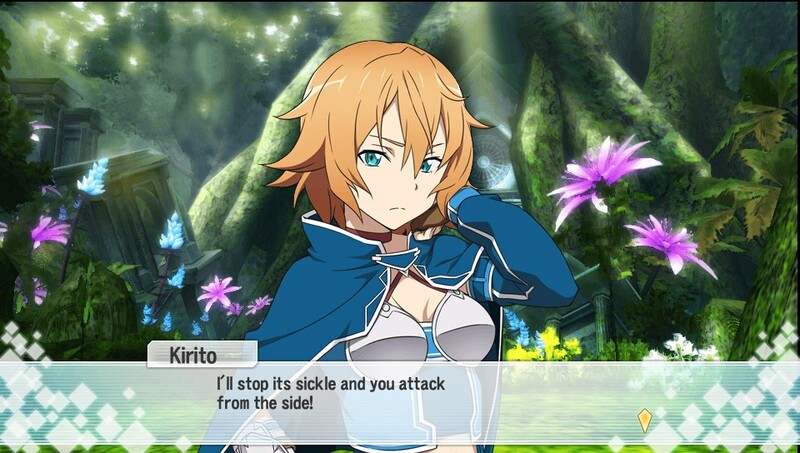 Sword Art Online: Hollow Fragment starts off with Kirito waking up in an area he does not recognize. He remembers exploring a cavern in level 76, but somehow he ended up here. 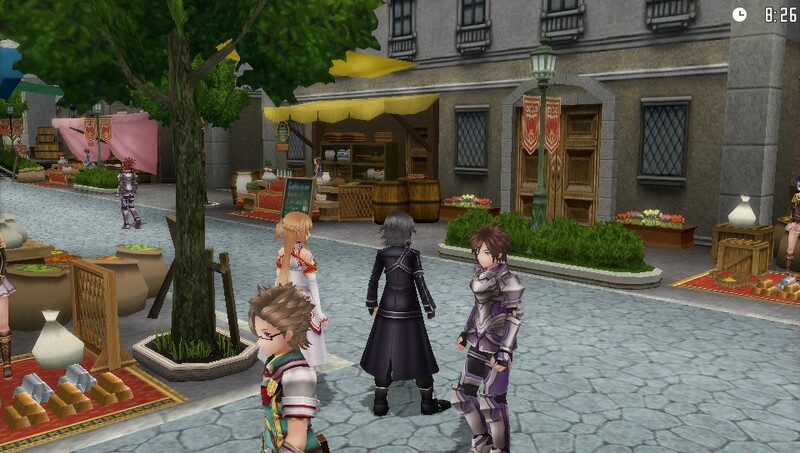 Running into another player, Philia, they team up to survive the area. They both discover the have a strange mark on their hand. 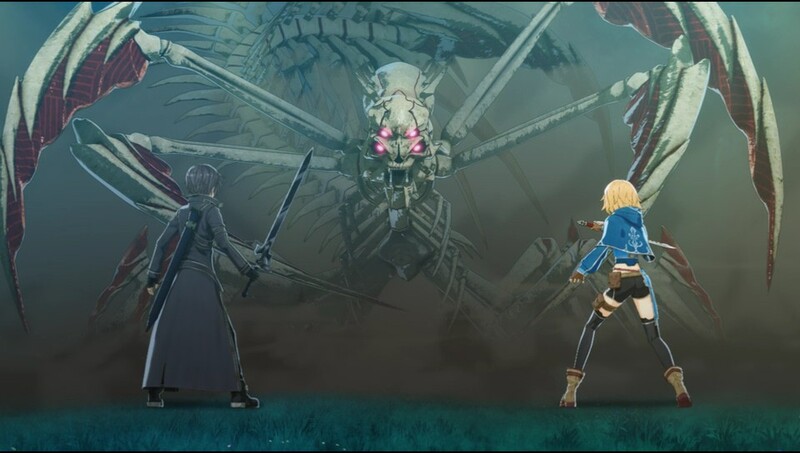 They explore the realm, called the Hollow Area by a mysterious voice, and complete a mission to rid an area of ogres and arrive at a sphere which lets Kirito return to level 76 where his friends await in town, including his in-game wife and fellow player, Asuna. 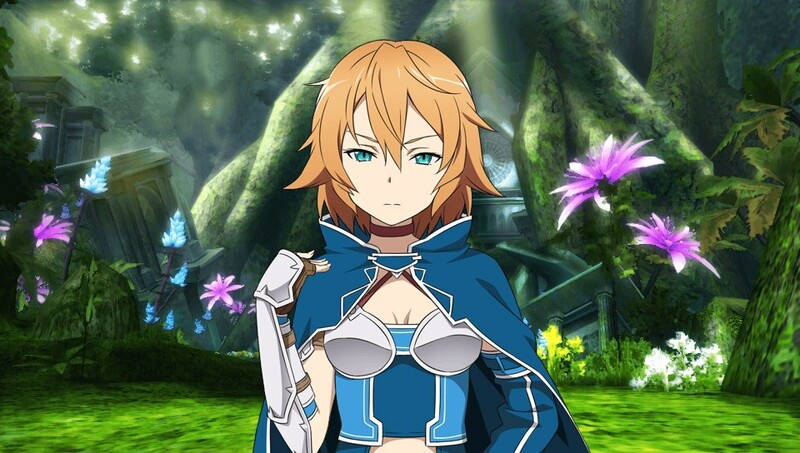 Philia is another player lost in the Hollow Area. The game then starts properly, explaining what happened. In a departure from the books and anime, Kirito faced off with the end boss Heathcliff (a knight, not the orange cartoon cat) for a change to end the game right then and there. During the fight, the game glitches. 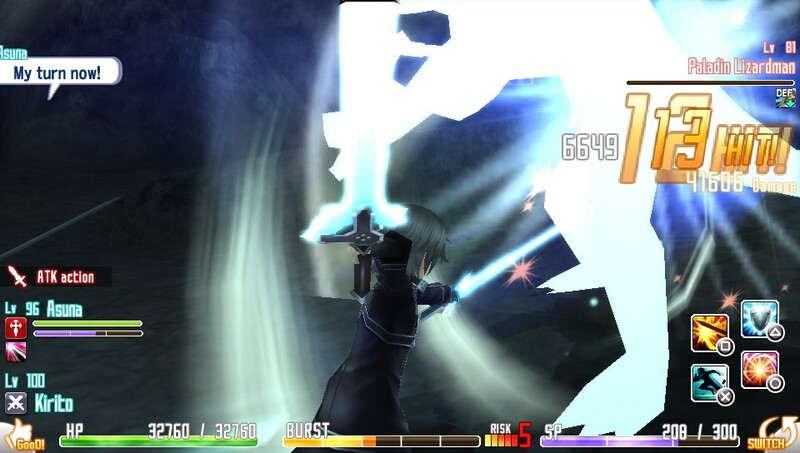 Kirito uses it to his advantage and as he is about to finish Heathcliff, he disappears. 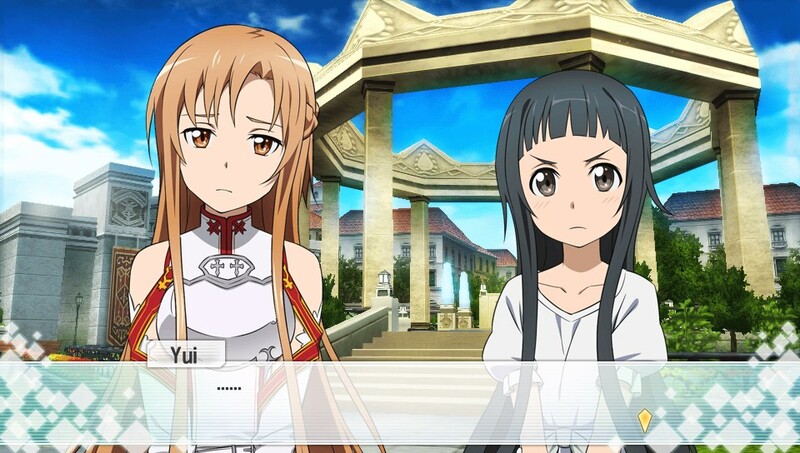 Dismayed that they still cannot log off, Kirito and the other players move to the next level, where they find another town and discover they cannot go back down. 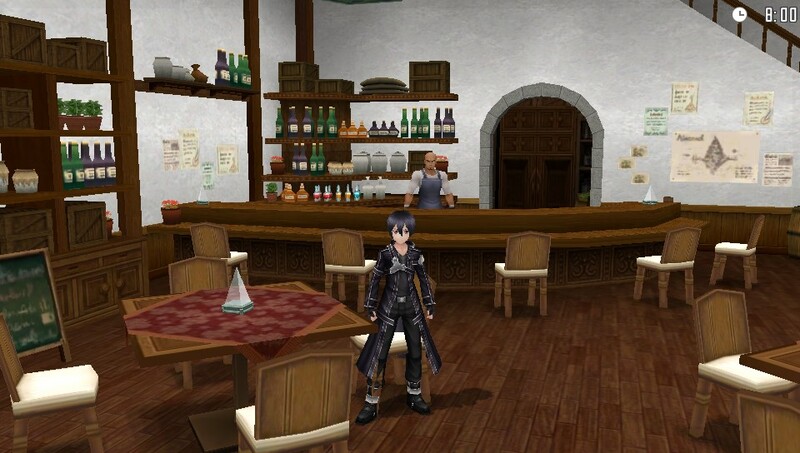 With a new area to explore and with old friends and new at his side, Kirito sets out to get to level 100, and explore the mysterious hollow area. The gameplay and graphics are good, and use the PS Vita’s system well. Since the game is supposed to be a Massively Multiplayer Online (MMO) game, there are a lot of “Player Characters” to interact with throughout the game. 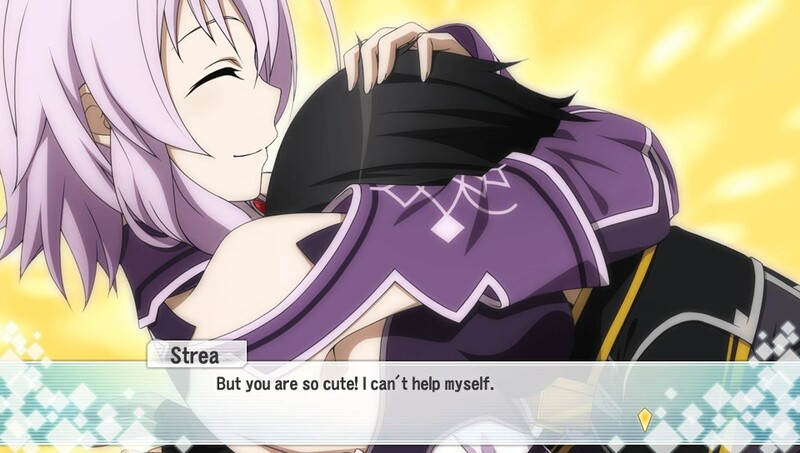 You can even pursue romance options with one of the many, many, MANY female characters that find Kirito irresistible, despite it being known that he is (in-game) married to Asuna. You can romance her, too. You can interact with your companions to increase your relationship. Take it to the next level! When you go out into the wilds of Aincrad, the fighting is in real time, with you pressing one of the four face buttons for attack, defend dash or stun. As your character is pretty high in level, so are the enemies. You can either take jobs from the job board in town or proceed to Level 100, grinding your way through the levels. You can earn gold to buy newer weapons and armour or find rare items in the filed. Shops in town level up as you do so you can find the appropriate gear for you level. I have mixed feeling from this game. First of all, having no idea of what Sword art Online was, I was lost from the get go. I thought it would be more like Ragnarok Odyssey and was disappointed there was limited customization for the main character (and he looks his default look during cinematics.) The start of the game was pretty confusing for a newbie, starting with the area that you start in and all the girls, well other characters to, but mostly girls, swarm you when you return to town. Once the cinematic explaining what happened previously and the events on level 75 does the game make sense. They should have started with that, then moved into the Hollow area. Some girls you meet are overly friendly. The overall gameplay is enough to keep you playing/Feeling like a MMORPG, you can manage your equipment in menus and combat is fast and furious. Other characters can help which comes in handy on the bosses. You can choose your companion in town, equip them for battle and have then accompany you through your quest. You can even do social interaction with them to improve your relationship. This leads us to the dating sim aspects. Sinon (fading in on right )and Lizabeth are loyal companions of Kirito and wouldn’t mind being more. 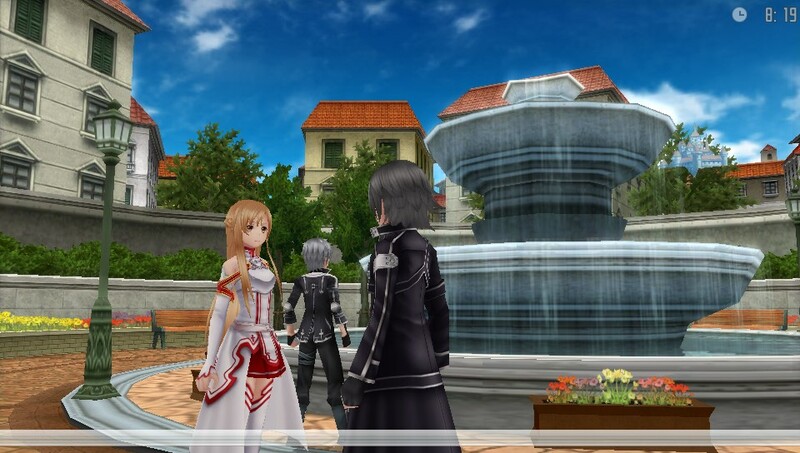 Like many JRPGs there are dating sim aspects in the game. For some reason, Kirito is really popular. Maybe it is because he is the leader and everyone looks up to him. Maybe it is because he took on Heathcliff and lived. Maybe it is his devotion to Asuna that gets the girls hot. Maybe it is his tight black pants. No matter what it is, all the girls want him, even though this is just a virtual form, and the real Kirito’s cheetos-encrusted body is wasting away in the real world. All of his female friends seem to harbour a crush on Kirito despite his being with Asuna. 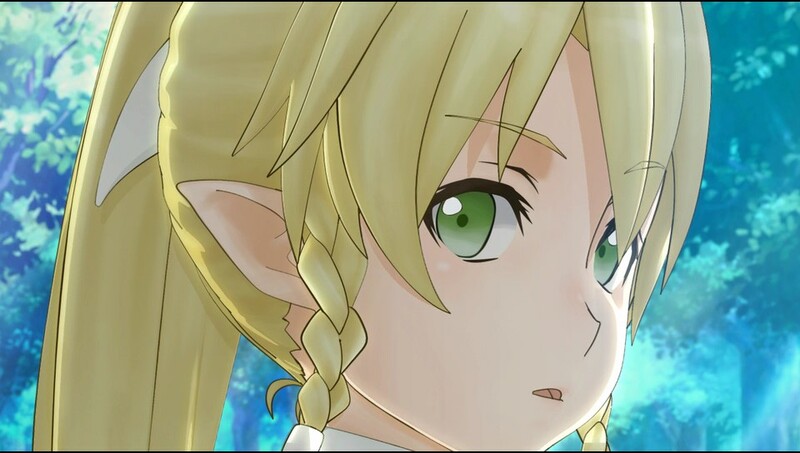 From Lizabeth the blacksmith to Sinon the strong, silent girl to Leafa, who is actually Kirito’s cousin, who he though was his sister. That’s just a few. 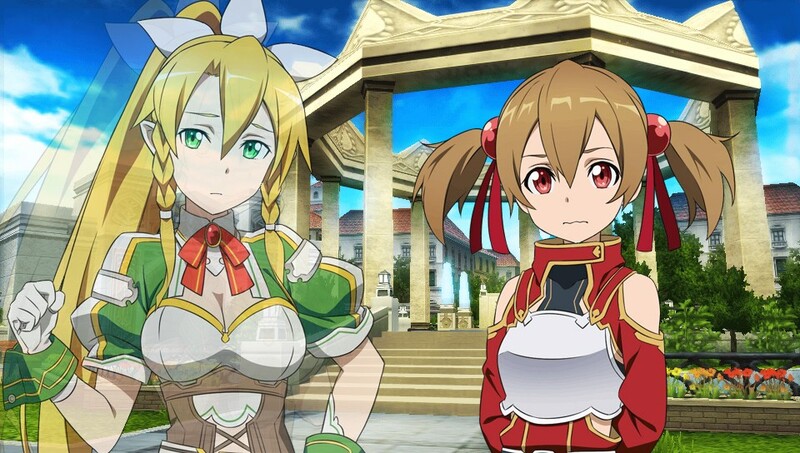 Leafa (on left), who you thought was you sister but is actually your cousin, also wants a deeper relationship. And if that wasn’t creepy enough, so does Silica (right). How old is she?!? The translation is good, but the Japanese voice over remain. Sometimes the translation seems off, and I am not sure if the double entendres were done on purpose or was just a bad translation. All I know is the words coming and come were used a lot. Yui (right) is an AI in the form of a pre-teen girl. 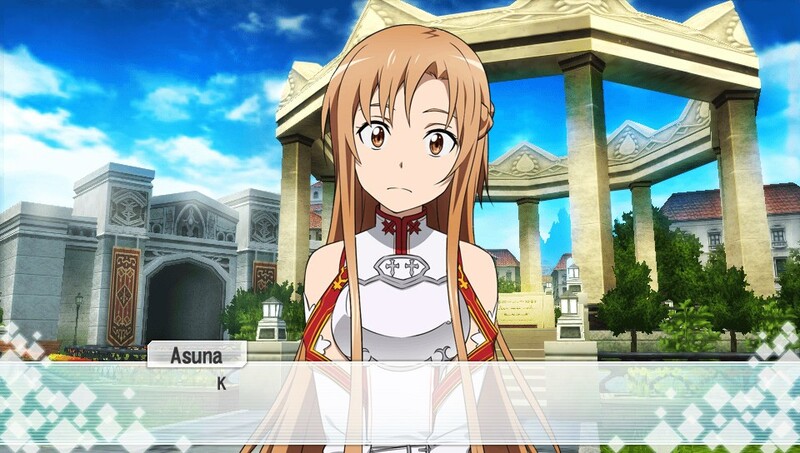 She is very protective of Asuna and Kirito’s relationship and calls them Mama and Papa. Overall, it is a decent, and deep game. If the point of the game was to draw more into Sword Art Universe, it worked on me. I definitely want to watch a bit of the anime. Despite the rough start the game gets interesting as you proceed. I bought it on sale during the PS Vita anniversary sale so the price was right. If you are looking for a MMO like experience in a portable game like Ragnarok Odyssey, you might like this. 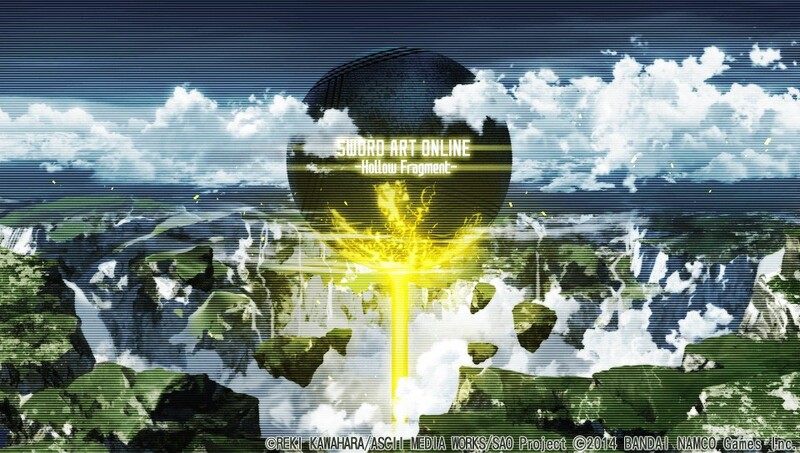 If you are a Sword Art Online fan, this is right up your alley. You like menus? It has got menus! NOTE: THIS REVIEW IS MY OPINION ONLY. IT IS NOT A PAID REVIEW. ALL PICTURES ARE TAKEN WITH MY PS VITA OR PLAYSTATION TV. 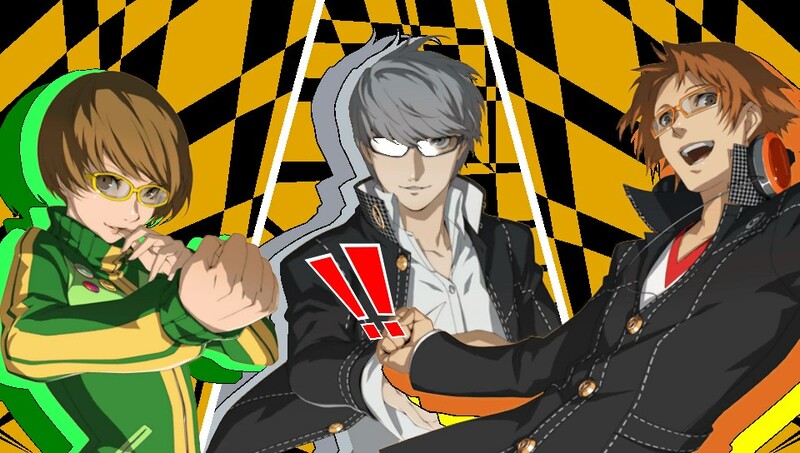 Persona 4: Golden is a Japanese Role-Playing Game (JRPG) developed and published by Atlus. It is the 4th game in the Persona Series (not including remakes) and falls under the Shin Megami Tensei banner of games that includes the Shin Megami Tensei and Devil Summoner series. 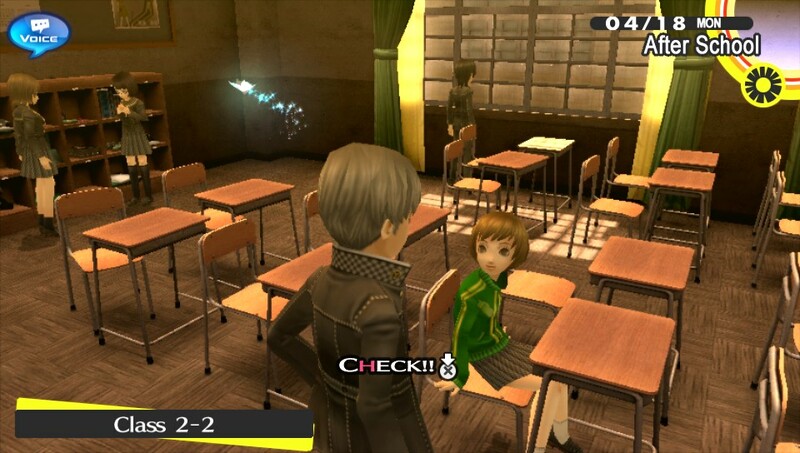 Persona 4: Golden for PS Vita is a remake of the Persona 4 for the PS2. Person 4: Golden is a PlayStation TV compatible game. Set in a quiet town called Inaba in Japan, the game follows the main character, simply called Hero in the opening credits, but you can name him whatever you want (I called him James, so shall his name be for this review.) as he moved to down to live with his Uncle, police detective Dojima and his daughter, Nanako. Strange murders are happening in town, where the victims disappear them their bodies are found in impossible locations. As James begins to make friends with other students at his new school, hears about a mysterious Midnight Channel, a strange broadcast that some say are related to the murders. You also find that you have the ability to enter the TV, only if it was big enough. Along with his new friend Yosuke, James enters the world beyond the TV at a department store called June’s. 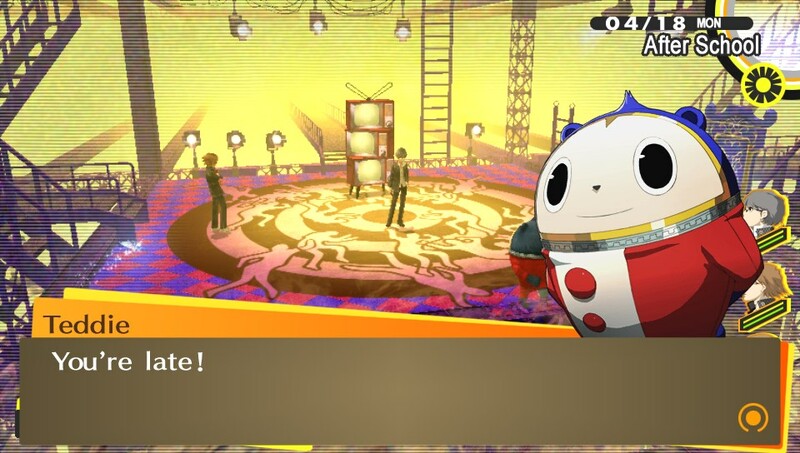 There they meet Teddie, a friendly creature that seems to be an empty cartoon bear costume, but he walks and talks on his own. With his help, they learn to sue their Personas, a magical aspect of themselves that gives them powers to defeat the Shadow monsters within the TV world. 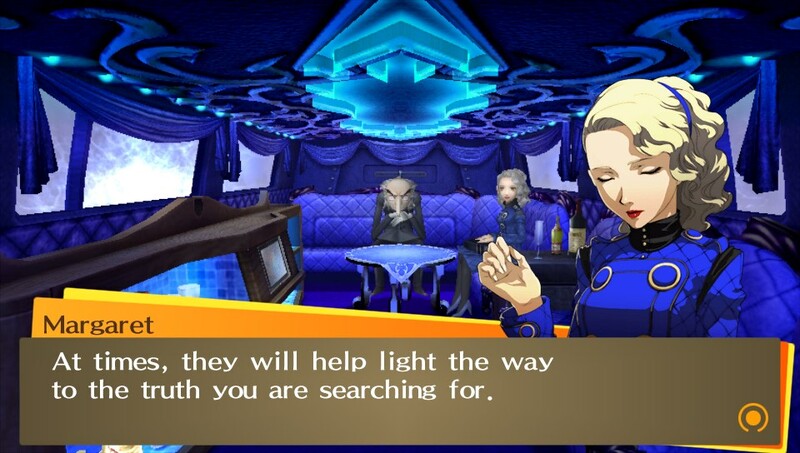 Though his dreams and later in the waking world, James learns how to use and combine Persona from Igor and Margaret, two residents of the mysterious Velvet Room. 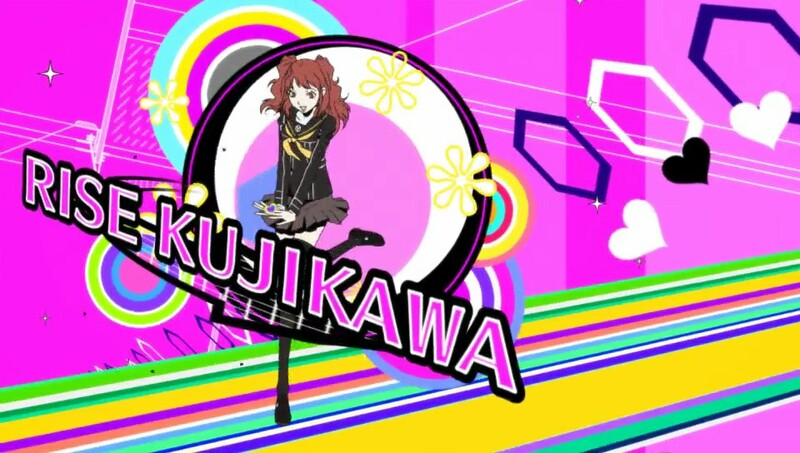 When a girl from their class, Yukiko, appears on the Midnight Channel, Yosuke and James help her friend, Chie, go into the TV world and rescue her. Both girls end up confronting their Shadow self and, upon its defeat, control their own Personas. 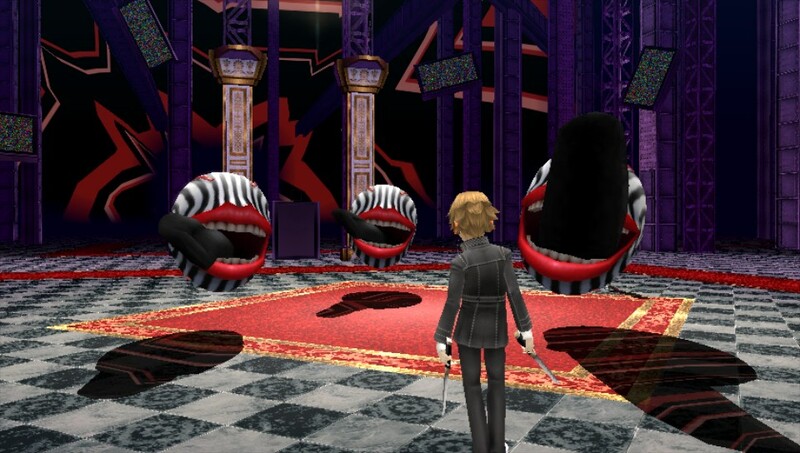 Together, along with three others they meet later in the game, they try to find out who is putting people in the shadow realm and how to stop them. 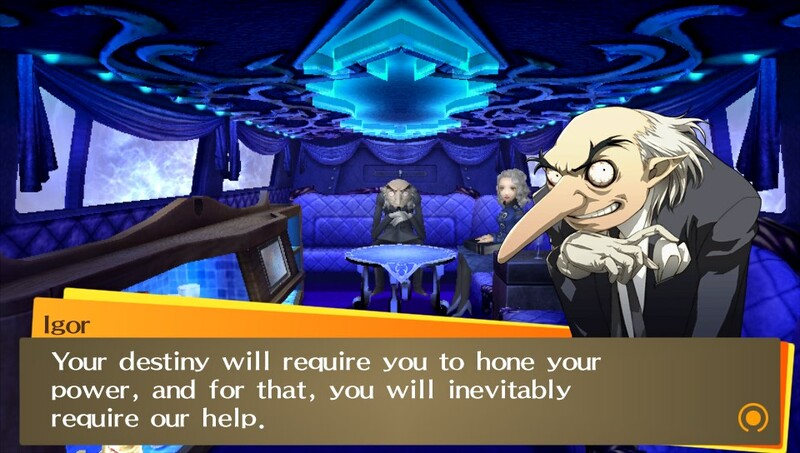 This is Igor, your host in the Velvet Room. He first appears to you in your dreams, which is a bit creepy. 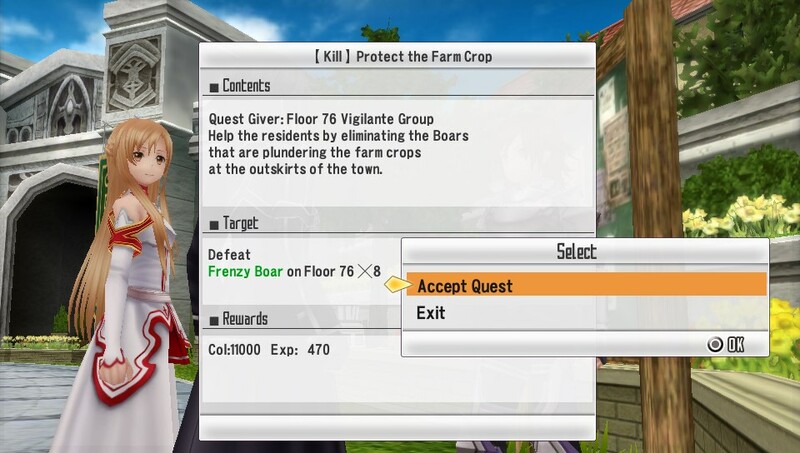 The game play is a typical RPG, with the combat being turn-based. You control the main character, with the option to control your team mates action or let them act on their own (with usually works out fine.) Monsters appear in the dungeons as you explore them and you can try to avoid combat if you wish, but combat mean XP and you can level up both your characters and their Personas. When you are not the Shadow/TV realm, you go to school. You go to classes (sometimes answering questions to get bonuses for you stats,) hang with friends to increase your bond (for bonuses for your Personas), even join after school clubs or get a part-time job. Each evening, you go home where sometimes you get a new quest from the midnight channel or get messages in your dreams. Enemies appear on the screen as you explore. You can confront them, or avoid them. If there is only one enemy and it is stunned, you can gang up on them. The graphics are good and hold up pretty well on the PlayStation TV. There are fully animated cut scenes which are high quality and adds to the overall story. 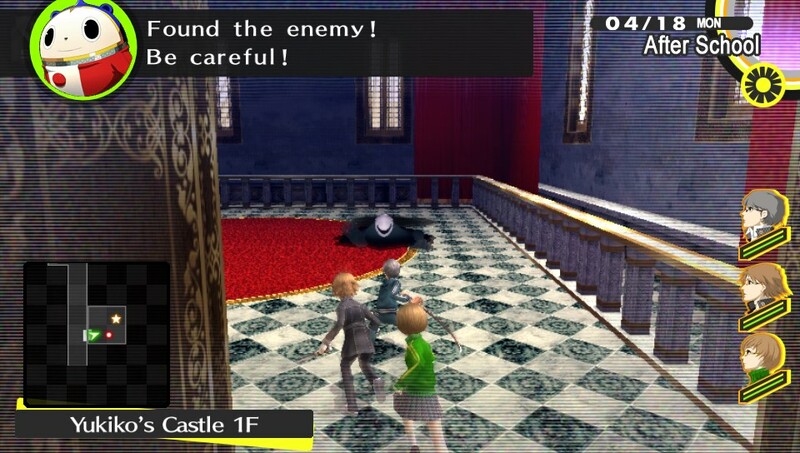 The character designs are good a done in a not too cartoony anime style (which the exception being Teddie. The monsters are strange and varied as well. There are fully acted voices in English which are done well. While the main character remains silent except in battle, (much like in Conception 2), you do make choices which can affect the other characters opinion of you. The other characters have their own unique voice and really add to the story. Anime cut scenes tell the story. 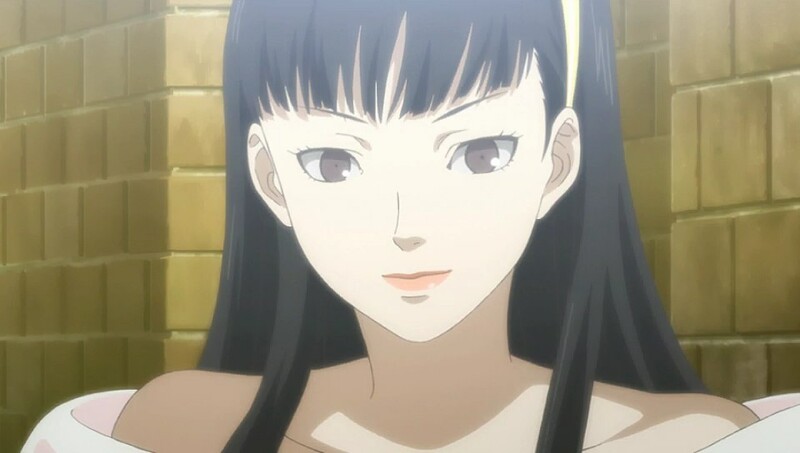 Yukiko (or her shadow?) 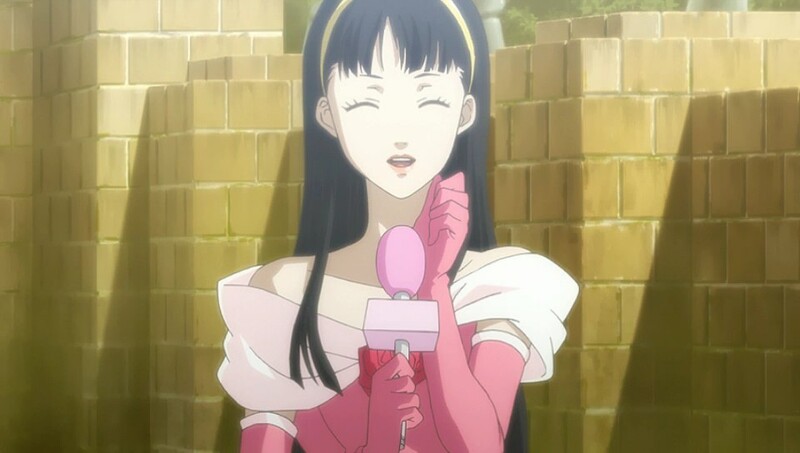 appears on the midnight channel looking for her Prince. 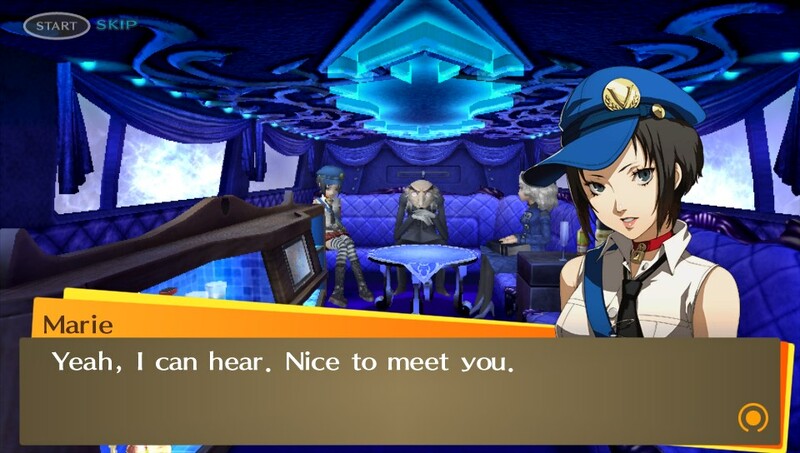 You meet Marie in the Velvet Room later on. She seems a bit cold, but show here a good time and she’ll warm up to you. Maybe tell you her secret? Overall, Person 4 is a great game. To be honest, I had a bit of trouble getting into it, as for the first hour of game play, I went to high school. Been there, done that.. Once the story got going, though, I wanted to play more to discover the mystery in the game. This is the first game in the Shin Megami Tensei, though from what I read, I was interested in playing the series. 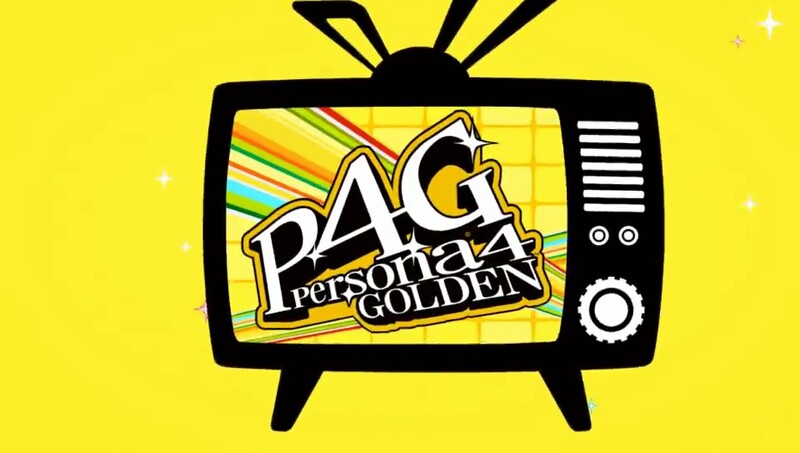 While there are other spin-off games from this iteration (Person 4 Arena and Person 4 Arena Ultimax are fighting games and Persona 4 Dancing All Night is a rhythm game), Persona 4 Golden is the ultimate version of the main game. I highly recommend it. 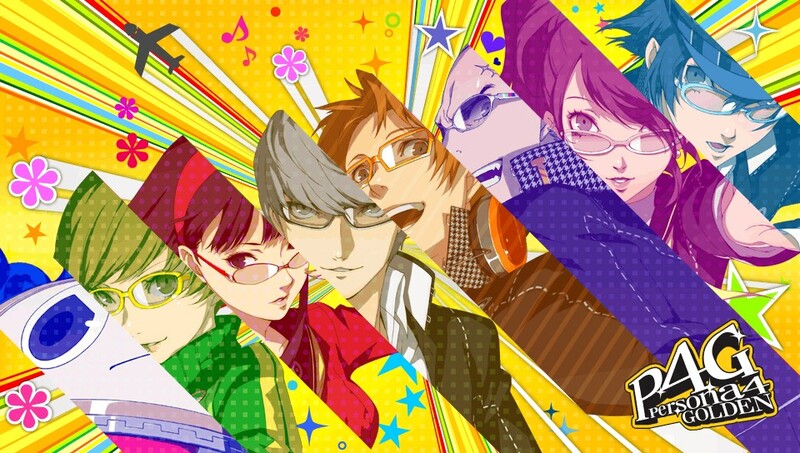 Persona 4 is available in physical and digital formats. Check retailers for availability. For Valour is an action thriller by Andy McNab (Author of Bravo Two Zero, Red Notice, and Battlefield 3: The Russian, amongst others.) The 16th (!) book in his Nick Stone series, it follows mercenary Nick Stone back to Britain, where he is trying to distance himself from his girlfriend and newborn son from the danger and chaos that seems to follow him around. Called on by a friend, he learns that the son of a dead squad mate is in trouble, charged with the death of a fellow SAS member during a routine live fire training exercise. His friend suspects that there is more to this, that the son is covering up for something that happened in the mountains of Afghanistan and he was framed to keep him quiet. Any doubt that Nick had was quickly shattered as his friend is killed by a sniper and he finds himself in danger. Not knowing who to trust, he carefully makes contact with some old comrades in the SAS, trying to find out the truth. That journey takes him to the Balkans, Spain, Cyprus and into the heart of a conspiracy. For Valour, like all of the Nick Stone books, are written from the perspective of the protagonist, former SAS soldier, deniable operative and current mercenary for hire, Nick Stone. The writing gets you into his mind, letting you see the world through his view, warts and all. Unlike, say Tom Clancy’s Jack Ryan or Ian Flemming’s James Bond, Stone is definitely a blue collar hero, surviving on his wits (and dumb luck). The character has gotten into some money in this series, but he is always about the basic, store bought equipment and most of his weapons are acquired off of his friends or enemies. This is the 16 book in McNab’s Nick Stone series son the author is fairly consistent with the character’s voice. I have read all of this series to date and I still find these books to be a fun read. Andy McNab has real experience to draw from, from his days in the British army and SAS to his job as a body guard and security consultant. Unlike Clancy who had no military experience to speak of and Flemming, who was British Intelligence but never served on the front lines, McNab has actual combat experience. He served in various places around the globe. He was even captured and tortured by the Iraqi Army in the First Gulf War. These experiences helps him to create a thrilling realistic story. Another this I like is that the story is more personal. There isn’t any “God, Queen and Country’ pomposity. I’ve read other books that have a decidedly “America: Right or wrong” vibe to it and been put off. While this book does not hide it’s Britishness, there is more of a down to earth feel. This is about a man who is trying to do what he believes is right. In the older books, it was about making money, enough to provide a decent life. Usually, he ended up worse than when he started, with some part of the mission would have him break his personal code of honour. Many times he barely wins, if you can call it a win. Lately he has been more successful, but eventually his path in life costs him something dear. Being the 16th book in the series could put someone off reading this if they are unfamiliar with the series. The book is pretty much self contained and not hard to get into. I do wonder how many books Mr. McNab can get out of this character as he always starts the book off with a look into Stone’s past. He has other books with similar subject matter (one book, Red Notice, has been optioned for a Movie) but still, I have enjoyed these books for years. I recommend this book for fan of action thrillers who are looking for something less flashy than something with Tom Clancy’s name plastered on it but with some depth.